Ski Trail. 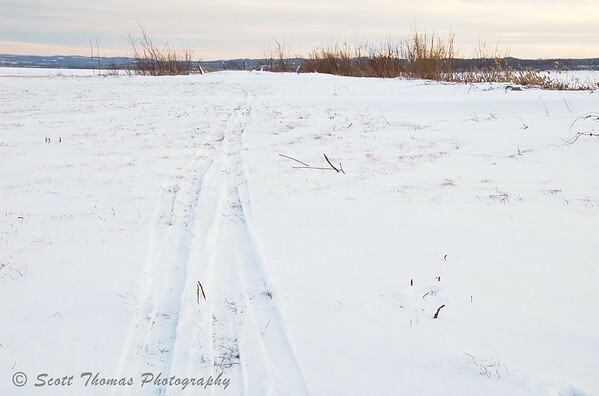 A cross country skier's trail near the shore of Onondaga Lake on a cold January day. Hibernation. 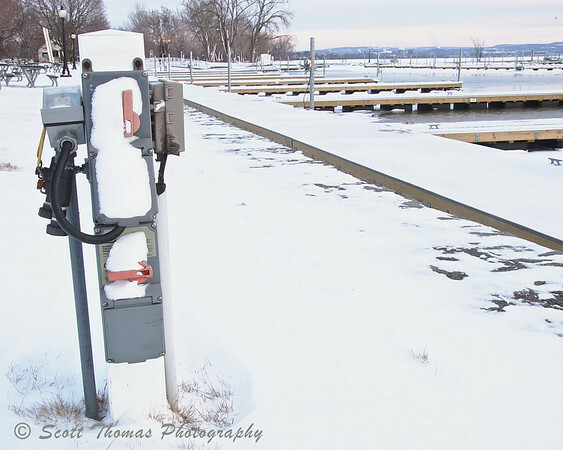 Utility hookup for boats hibernate in the Onondaga Lake Park Marina in January. Muted Sunset. A cold January sunset. 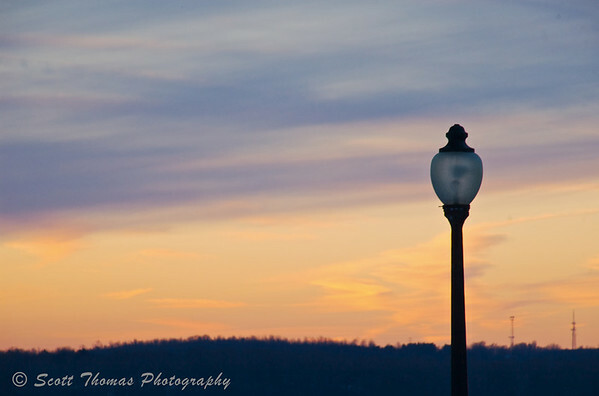 This entry was posted in Weekly View and tagged cold, ice, january, lake, light pole, liverpool, marina, new york, Onondaga Lake Park, Photography, ski, snow, sunset, trail. Bookmark the permalink. You caught the winter light perfect here Scott. That ski trail looks as a lonely place. Oh, brrrr. Scott, Jack Bodis would say “We have to live with it, do we have to look at it too?” Brrr. The winter light, particularly in the last photo, is just right. Next summer when it is hot and humid, I will post links to these photos. Right now I am going to go make some hot cocoa. Your snow is very white, I like the calmness of the first image, looks like a white sandy beach.